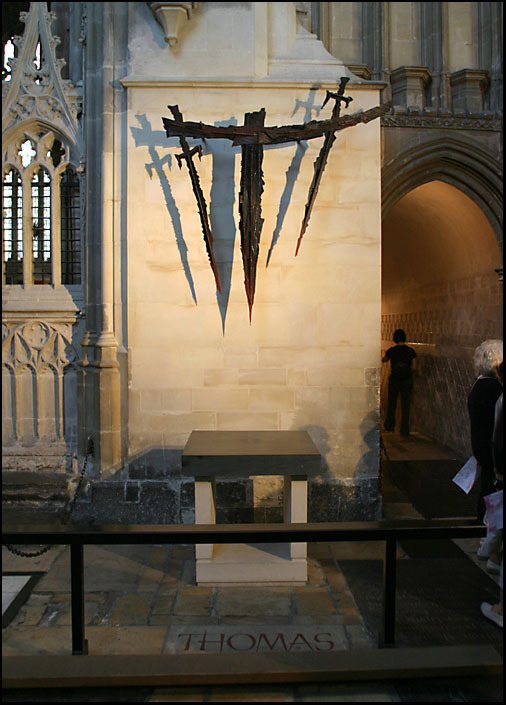 Here is an article by Renée D. Roden on St Thomas Becket that seeks to fill out the background of the characters involved in the saga that led to Becket's martyrdom through the eyes of of Peter Glenville’s film "Becket" (1964). The article is from the website of the CHURCH LIFE JOURNAL, University of Notre Dame, Indiana, USA. Glenville's film goes for nearly two and a half hours and can be viewed in its entirety on YouTube HERE.